The new gold standard in children’s shoes is purple and inside every pediped® box is an outstanding pair. 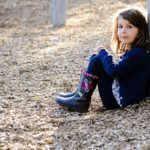 In fact, their shoes were among the first children’s footwear to be awarded the American Podiatric Medical Association Seal of Acceptance for promoting healthy foot development. I was first introduced to the Doctor recommended soft soled pediped Originals shoe after the birth of my granddaughter, Kenadi Jean, in June of 2008, while shopping at Little Me Boutique in downtown Spearfish. This is where I purchased her first pair of genuine foot happiness. Since that day her feet slipped into at least a dozen more styles before she began to outgrow the first step in the pepiped® footwear system. The Originals were the best shoe on the market! Ideal for infants and children who were just learning to walk, with the next step Grip ‘n’ Go™ perfect for the active toddler transitioning from early walking to a confident stride. However, due to a traumatic brain injury at birth our little angel would probably never walk. Even though Kenadi was primarily confined to a seated position, we were continually complimented on the adorable shoes labeled as “the next best thing to bare feet”. 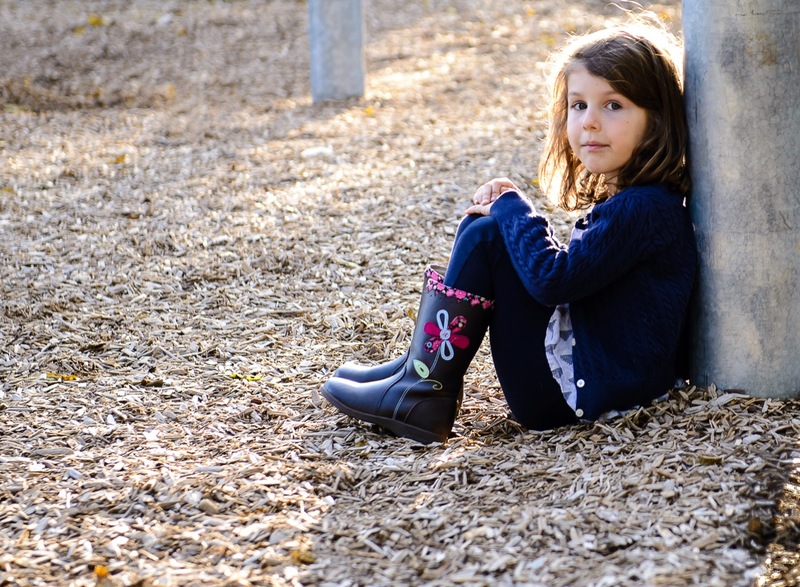 I appealed to Angela Edgeworth, founder of pediped® footwear, to see if her company would be interested in creating a toddler size in the Originals line, with its’ natural shape and lightweight design. Shortly after my request she contacted me and agreed to construct a sample shoe created especially for Kenadi. 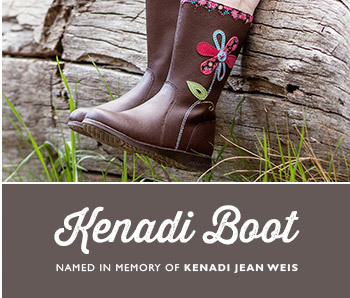 We had recently received two pair of the one-of-a-kind model which Kenadi had just begun wearing to school when she passed away in March of 2014. I sent a heartfelt thank you letter to Angela for their beautiful gift along with Kenadi’s obituary informing pediped® of her unexpected death. 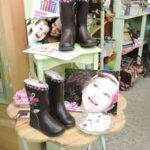 It wasn’t long after that when Angela asked if they could showcase Kenadi in their ten year anniversary celebration, even naming an adorable chocolate brown boot with colorful detailed flowers on it after her… the Kenadi boot! It was divine intervention when I stopped in one of my favorite shops in Spearfish, The Wild Rose, and found Tiara placing an order for pedipeds®. She and Rose were always so kind to Kenadi when we visited their boutique and Kenadi was the happy recipient of many of their author-signed children’s books, natural skin care line, toys and exclusive clothing. 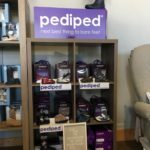 I mentioned that pediped® had created the Kenadi boot scheduled to launch fall of 2015 and Tiara decided to carry it in their store. 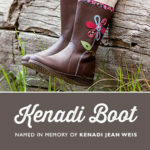 Everyone who purchases the delightful Kenadi boot will receive a beautiful butterfly headband, a note in memory of Kenadi with information about the Kenadi Jean Weis Foundation, and a Kolor for Kenadi butterfly pre-paid postcard to be colored and returned to the pediped office to create a wall in honor of Kenadi. For every butterfly returned to them an extra dollar will be donated to Kenadi’s foundation. The butterflies will then be given to the family to keep forever. 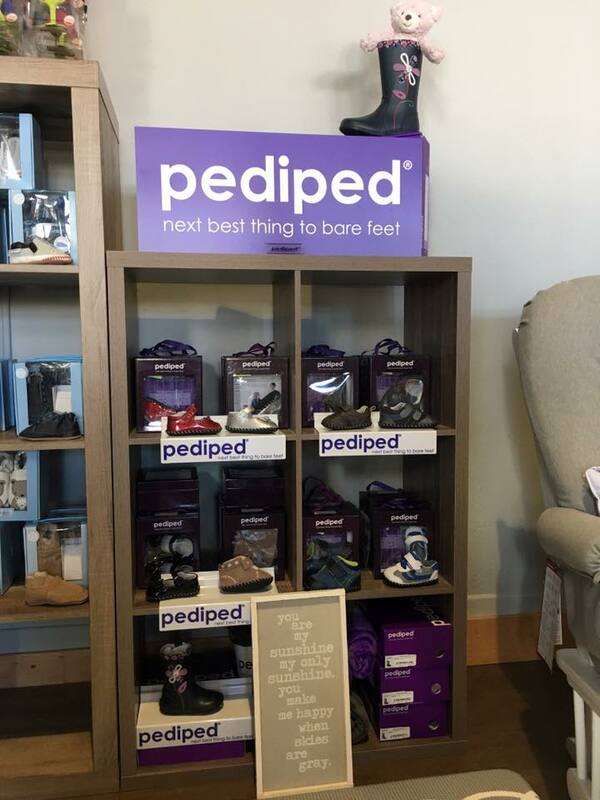 pediped® has become one of the fastest growing children’s footwear brands in the U.S. and offers over 130 styles from newborn to size 4.5 youth. pediped Originals, Grip n’ Go, and Flex have been officially recognized by the American Podiatric Medical Association as being beneficial for children’s developing feet. 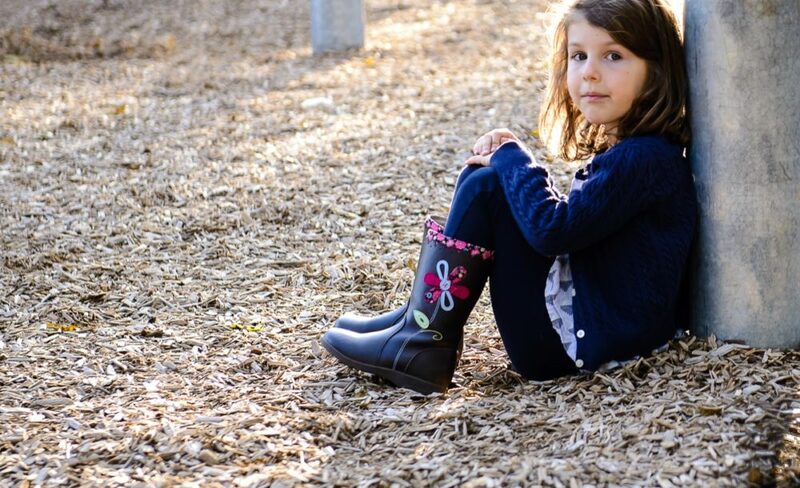 They are sold all around the world and celebrity sightings include the children of Sarah Jessica Parker and Matthew Broderick; Jenifer Garner and Ben Affleck; and Nicole Kidman and Keith Urban… perhaps we will spot one of their kiddos wearing the Kenadi boot! 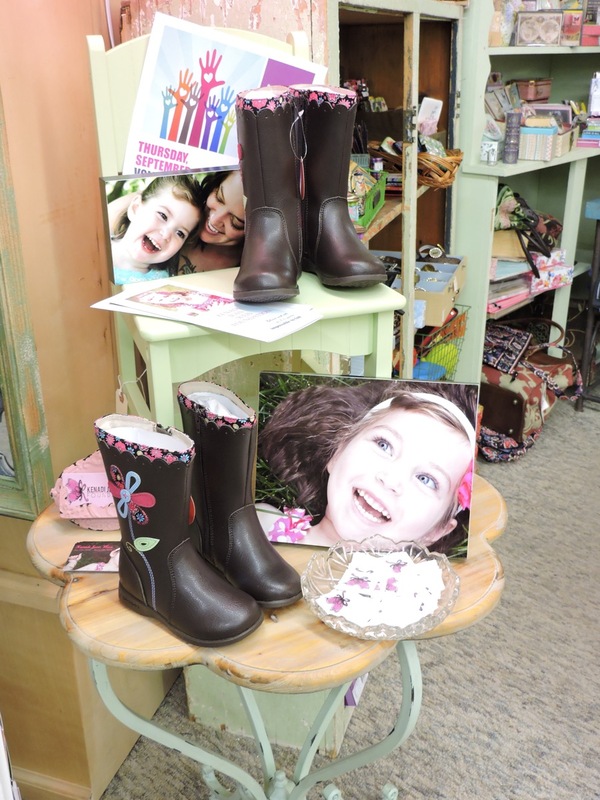 For more information or to purchase the Kenadi boot please visit The Wild Rose, 616 N Main Street, Spearfish, SD or www.pediped.com.